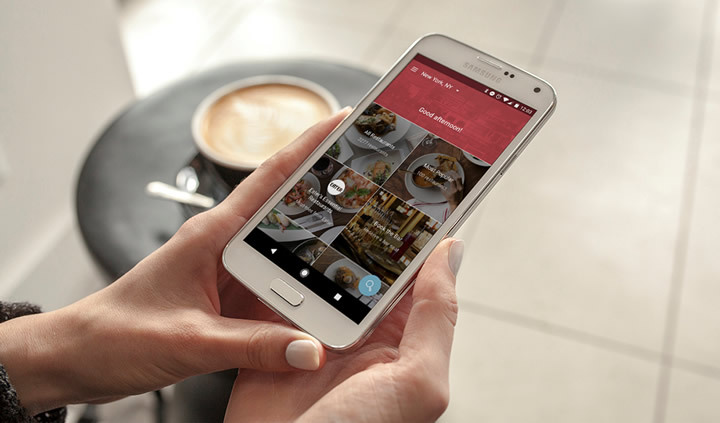 We’re thrilled to introduce our redesigned OpenTable Android app, enabling diners to more easily discover and book great dining experiences, from the hottest new restaurants to neighbourhood gems. The redesign features a new Discover home screen, which allows travelling and local diners to discover more with a single tap by connecting them to new dining experiences, ranging from trending cuisines and popular restaurants to curated option such as “OpenTable Insider Picks,” which allows you to dine like a local even when you’re in another city. The OpenTable Discover home screen is currently rolling out for Android users of the OpenTable app in the United States, Canada, United Kingdom, Ireland, Germany, Japan, Mexico, and Australia. Discover is also available for iPhone users of the OpenTable app. In addition to the new features of the redesign, diners can still use OpenTable’s quick and easy search functionality. To find out more about OpenTable’s newest discovery-focused app features, please find details here. And be sure to share your experiences with Discover using the hashtag #DiscoverOpenTable here or over on Facebook, G+, Instagram, or Twitter.